Manufacturer of a wide range of products which include erichsen testing machine. 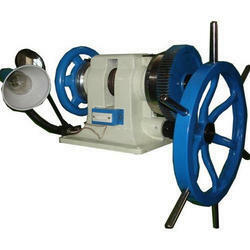 We are prominent names in the industry in offering a wide range of Erichsen Testing Machine. Our precision engineered erichsen testing machines facilitates faster and trouble free operation. The Erichsen deep drawing test has a deep rooted hold on modern industry. Deep drawing is the conversion of a plain sheet blank, into a hollow body by drawing the material into the female die with a punch. A pressure plate is employed to prevent the formation of wrinkles in the bank; this holds the bank against the female die which, in some cases is called the furrow holder.